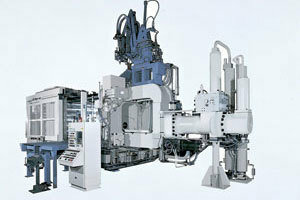 Toshiba Machine offers machine sizes from 1250-3500 ton which can be built to customer specifications and needs. Incorporating servo controls, TOSCAST monitoring systems and fully automatied robotics to develop a custom cell nessessary to meet any demand. 302 نموذجVew المزيد عن Toshiba Machine Co., Ltd.